Winter meetings are just around the corner and the MLB Hot Stove is heating up. A few deals have already been done and the Padres are expected to be quite active this winter. Rumors are swirling that the Friars are right in the thick of the race to acquire Mets starter Noah Syndergaard. What is exactly on the table, when it comes to the Padres’ side of things, is very murky. 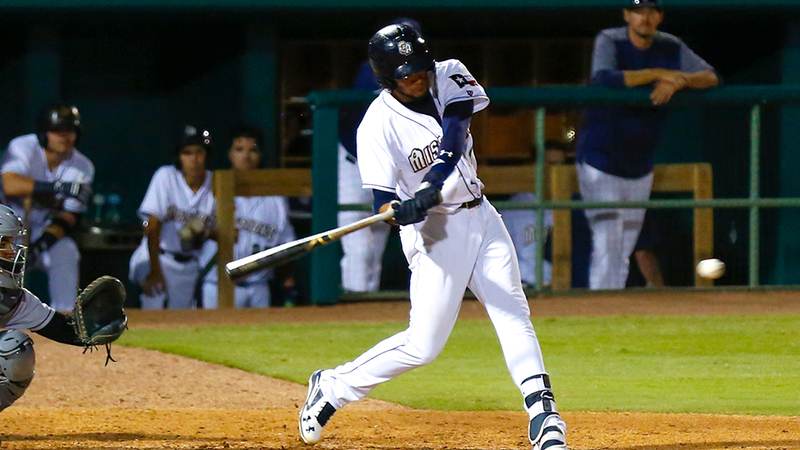 One of the prospects not on the table looks to be MLB Pipeline’s #2 overall prospect, shortstop Fernando Tatis Jr. So this bears the question, which Padres prospects are truly untouchable? The obvious one is, of course, the aforementioned Tatis. He is universally considered one of the best overall prospects in baseball and the Padres view him as their shortstop of the future. He has lived up to the billing, with two consecutive seasons of a wRC+ better than 130 and an OPS above .860. 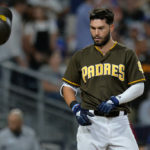 He will be knocking on the door in 2019 and certainly many will clamor for him to make his Padres debut sometime next season. Luis Urias is still considered a “prospect” despite finishing the season with the big league club with 21 games. He, too, would be untouchable as the Friars brass see him and Tatis as the double play combo for the next six-plus years in San Diego. On the hitting side of things, that might be it. Francisco Mejia (MLB Pipeline #26 overall, #2 catcher) could also be on this list, but given the Padres’ depth at catcher with Austin Hedges and fellow prospect Austin Allen, it might not be a foregone conclusion. 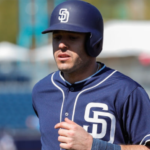 He certainly would merit a handsome return as he has done nothing but hit in the minors, with a .328 average and 142 wRC+ last season in the Padres’ organization. An argument can certainly be made for him to be kept on ice, but not as certain as Tatis and Urias. 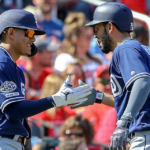 Hitters that are untouchable: Tatis and Urias. When it comes to pitching, there should be a lot more players who are off-limits. According to one article covering the possible deal, the Padres were discussing with the Mariners for their ace James Paxton before he was shipped to the Bronx, the Padres listed several pitchers as untouchable. 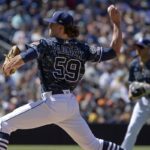 The article lists Chris Paddack, Adrian Morejon, and Michel Baez as arms Preller was unwilling to part with to obtain Paxton. Now, that could change for a guy like Syndergaard, but not by much. Paddack, to me, is untouchable. His astronomical rise from Tommy John surgery last season piqued everyone’s interest and got the Padres’, and the rest of baseball’s, full attention. 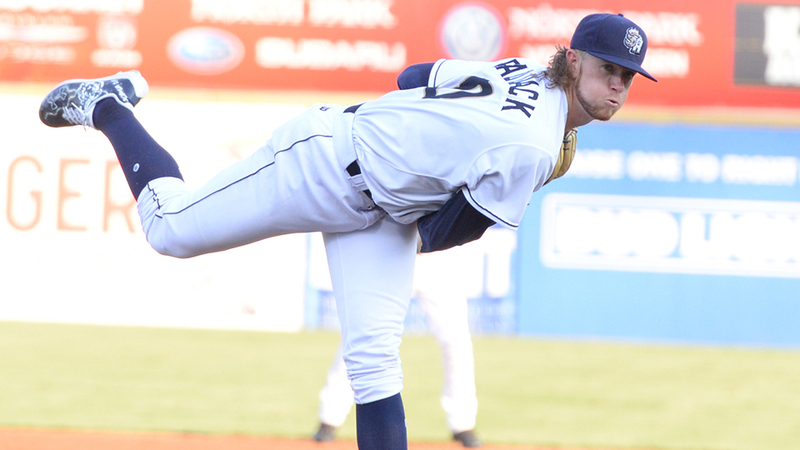 Paddack pitched in High-A and then Double-A and ended the season with an ERA lower than 2.25 in both places. While his strikeouts naturally dipped a bit when he ascended to Double-A, his ERA plummeted to 1.91. He rose all the way up to MLB Pipeline’s 35th-ranked prospect, after starting the year nowhere close to the map. That’s how good 2018 was for Paddack, and his ceiling is very, very high, it seems. It’s obvious the organization is very high on Adrian Morejon. He is still a teenager and has only pitched up to High-A, but Preller was reportedly unwilling to part with him in a deal for Paxton. He is right on the cusp of untouchable, especially with the injury concerns, but it looks like he is in the club due to the level of polish he has displayed as a teenager. However, he struggled to stay healthy in 2018, making just 14 starts, 13 of them with Lake Elsinore with a 3.30 ERA. Baez is more of a high-strikeout guy than Morejon and he, too, had some health concerns in 2018. He reached Double-A San Antonio, but struggled in four starts, with a 7.36 ERA. Morejon has better control at this point, but Baez might out-“stuff” him. Both look to be untouchable at this point. There are a few obvious ones here as well, one being MacKenzie Gore. Gore is MLB Pipeline’s 13th overall prospect and the 2nd-rated lefty in all of minor league baseball. He had a disappointing season in 2018, making just 16 starts with a 4.45 ERA. Blisters kept him from really being himself most of the season. Although in nine starts in June and July, his ERA was 2.83 with 11.8 strikeouts per nine innings. He can be special, there is no doubt. Not unlike Paddack, Luis Patiño skyrocketed his stock this past season. 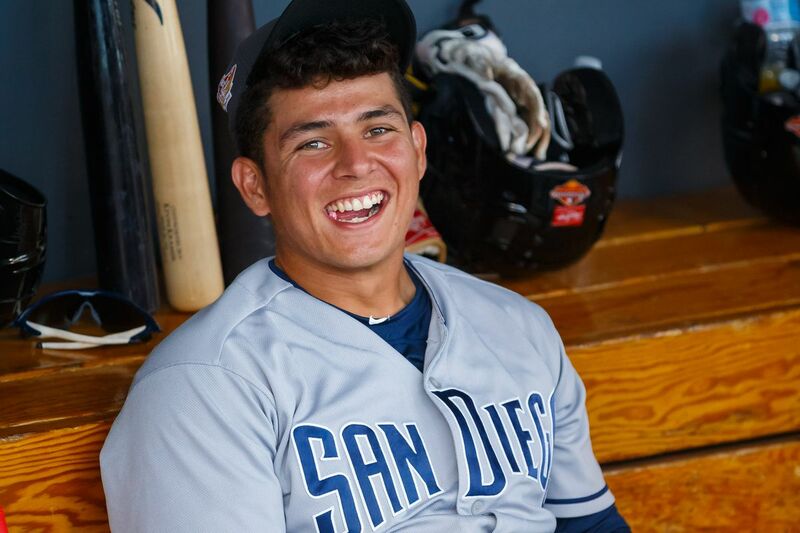 He is now up to the Padres’ 9th-best prospect and the 83rd in all of baseball. The right-hander mowed down Single-A hitters this season for Fort Wayne. He posted a 2.16 ERA with 10.6 strikeouts per nine innings. The Padres would hate to trade away a pitcher with such high upside and a bit of mystery at 19 years old. The only members of the Padres’ Top 10 not mentioned so far are Logan Allen and Ryan Weathers. Weathers might be untouchable just with his youth and the fact that they just drafted him this past summer. I will say he is untouchable for now, but if he has a solid 2019 and the Padres are trending upward, he could be dangled for a big piece for 2020. Allen is not untouchable, to me. He had a very solid showing when he finally reached Triple-A at the end of 2018, with a 1.63 ERA in five starts. He is young, but certainly not the youngest or most talented pitcher in this ridiculously deep system. In other organizations, he might be untouchable, but not here. Pitchers who are untouchable: Gore, Paddack, Morejon, Baez, Patiño, Weathers. Other than these eight prospects, the Padres should be looking to get a king’s ransom for some MLB-ready or established talent, like Syndergaard. If the Padres can find a solid starting pitcher with lots of team control, go for it. 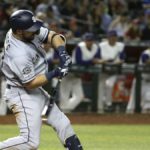 Even with a longer list than normal of “untouchables,” many of the prospects left outside San Diego’s top 10 would be squarely in another team’s top five and command a good return. Let’s face it, we Padres fans want to tightly grip onto our prospects, like that show “Hoarders.” But in order to get this team moving upward and onward, things might have to get uncomfortable for some of us as they move on from some beloved prospects. Margot was the 25th prospect in all of baseball (SD’s #1), but has flopped so far at the ML level. 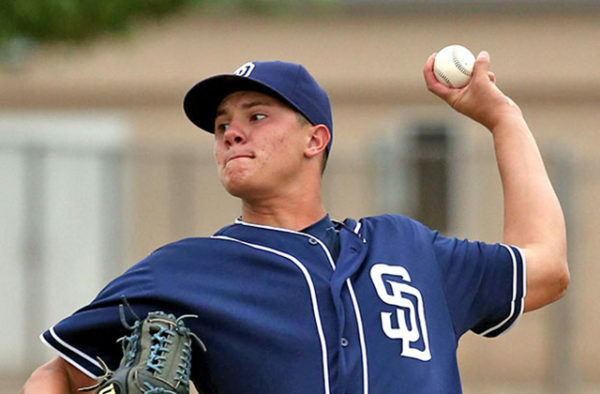 Javy Guerra was the 76th prospect (SD’s #3) and thought of as the SS of the future. Turns out he can’t hit. 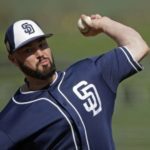 Logan Allen became SD’s 18th prospect. Still has potential, but hasn’t made the bigs 3 years later. 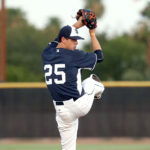 Carlos Asuaje was SD’s #19. Totally stalled out in 2018, and is on the verge of being removed from the 25 man roster. At the time this was thought to be a steal for the Padres, a SP, CF, SS, 2b core to build around. 3 years later only Allen seems to have much of a future. So when trading prospects for proven MLers, let’s remember guys that look good at AA and AAA actually rarely translate that to ML performance. I think Tatis, Paddack and Patino should be untouchable but everyone else should be based on the return. Listen to 1090 interview with Acee. He listed 4 players as close to untouchable in Gore, Tatis, Paddack, and Patino. I recall the Paxton article and the only explanation is Morejon and Baez were specifically off limits for Paxton. Acee also stated in his interview he felt Urias could be in play for a trade for the right piece. He also noted he thought Hedges more like to be traded than Mejia. Renfroe the most likely of the corner OFs. Its on their website..
For me my list would be Tatis will be a Padre and shouldnt be traded for anyone. If I had two other position players it would be Arias and Ornelas. As for pitching Paddack and Patino would be my two.